1 min March 27th, 2018 Upload Your Grow Report At Cannabis.info And Win Cannabis Seeds! 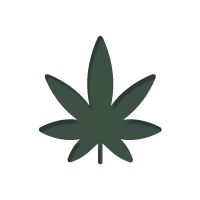 We just discovered the perfect new platform for you to share your marijuana grow reports. And you're even making a chance to win lots of cannabis seeds! 1 min October 30th, 2016 More Medical Cannabis In Ancient Graves A man was buried with full ripe female cannabis plants in an ancient graveyard along the Silk Road in China. Scientists talk about medical and ritual purposes in ancient cultures. 1 min June 11th, 2014 Win 2 Tickets for Psy-Fi! It’s giveaway time! The summer is here and it is time to go out and enjoy yourselves. To lend you a helping hand, we will be running a few give away offers that will make it a summer to remember. 0 min March 7th, 2014 Contest Closed: Win 5 Royal Queen Seeds Autoflowering Packs Congratulations to mike w, Marcus and Cx! And many thanks for all the cool submissions! Stay tuned for the next round. 0 min February 28th, 2014 Contest: Win 5 Royal Queen Seeds Autoflowering Packs Of Your Choice! Three lucky winners will each get 5 Royal Queen Seeds Autoflowering Packs - any strains of choice! Read on to learn how to join. 0 min February 24th, 2014 Contest closed - Win A WISPR The winner is Peter! And many thanks to everyone who joined - we are listening closely to your feedback. Stay tuned for the next contest starting this Friday! 0 min February 14th, 2014 Contest: Win A WISPR Vaporizer We‘re giving away one Iolite WISPR vaporizer! It‘s easy to join the contest - read on to learn how to win.